Headline indices of the Japan share market were higher for fifth straight session on Thursday, 19 July 2018, as investors continued value buying on tracking gains on Wall Street and in Europe market overnight. However, market topside capped as investors taking profits after a positive four-session run. Among TSE33 issues, 17 issues inclined, while 16 declined, with shares of Mining, Oil & Coal Products, Machinery, Marine Transportation, Banks, and Securities & Commodities Futures issues being notable gainers, while Electric Power & Gas, Pulp & Paper, Fishery, Agriculture & Forestry, and Retail Trade issues were notable losers. 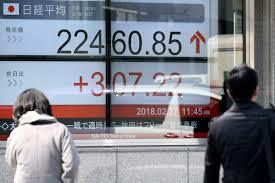 Around late afternoon, the benchmark Nikkei 225 index inclined 0.2%, or 40.43 points, to 22,834.62. The broader Topix index of all First Section issues on the Tokyo Stock Exchange, meanwhile, rose 0.2%, or 3.28 points, to 1,754.49.  Shares of oil & coal products players were key contributor to the index gains after reports that Japanese oil distributors are preparing to suspend imports of Iranian crude oil in line with U.S. demands, stoking speculation the move would lift procurement costs and bump up oil prices. Inpex, Idemitsu Kosan, Showa Shell and Cosmo Energy were up as much as 0.5%. Shares of chip equipment makers gained ground after ASML Holding, a supplier of equipment to the world's biggest computer chipmakers, reported forecast-beating second-quarter results. Advantest Corp and Tokyo Electron were up in a range of 3%-4%. Defensive sectors such as utility and food lost ground. Tokyo Gas and Osaka Gas were down in a range of 1%-2%. CURRENCY NEWS: The Japanese yen was little changed against U.S. dollar on Thursday after briefly touching more than a six-month high of 113.14 yen. The US dollar was changing hands at 112.84 yen against 112.86 yen in New York on Wednesday.